So here it finally is: Samsung's brand spanking new Galaxy S9, with its 5.8-inch Infinity display and new camera module. This device is not about the looks. Or actually, it is. It is as beautiful as the Galaxy S8, because it looks almost exactly like that device. Still, a lot has been improved and upgraded, if you're willing to look past the exterior. 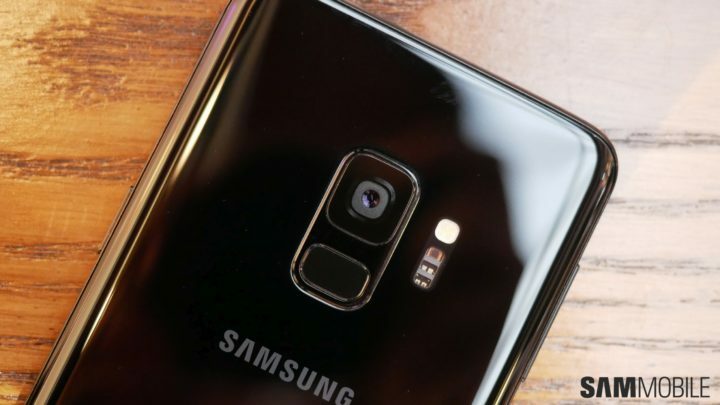 Depending on where you live, your Galaxy S9 will either be equipped with Qualcomm's Snapdragon 845 processor, or Samsung's own Exynos 9810. These are powerful new chips, that do a good job at making last year's silicon look, well, like last year's silicon. In other words: the Galaxy S9 is a lot faster than the Galaxy S8, or Note 8 for that matter. There is 4GB RAM on board, which is no upgrade but sufficient nonetheless. For storage purposes, there is 64GB flash memory built-in. And, of course, you can expand this at will, by inserting a micro-SD card with up to 400GB of extra space. For detailed specifications, check out the full Galaxy S9 SM-G960F specs. 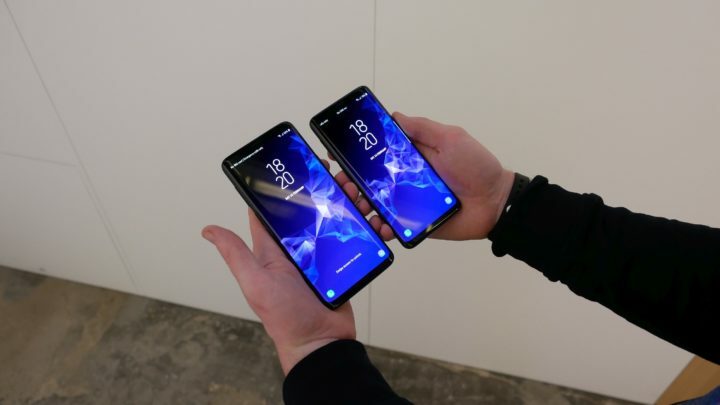 The Galaxy S9 sports the same Infinity-look as last year's S8 models. The fingerprint sensor is still on the back, but Samsung has listened to one of the biggest complaints of 2017. The fingerprint scanner is now located below the camera module, making it much easier to reach if you don't have large hands or long fingers. If you look closely, the bottom bezel is a tiny bit narrower, but the device overall has become about half a millimeter thicker. 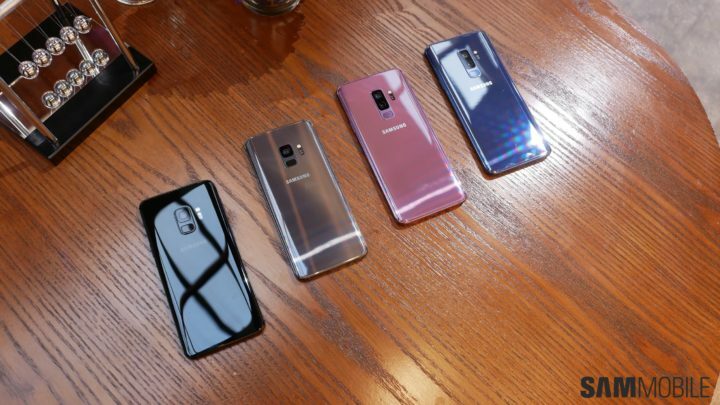 The Galaxy S9 comes with stronger glass, and a more durable aluminium frame. 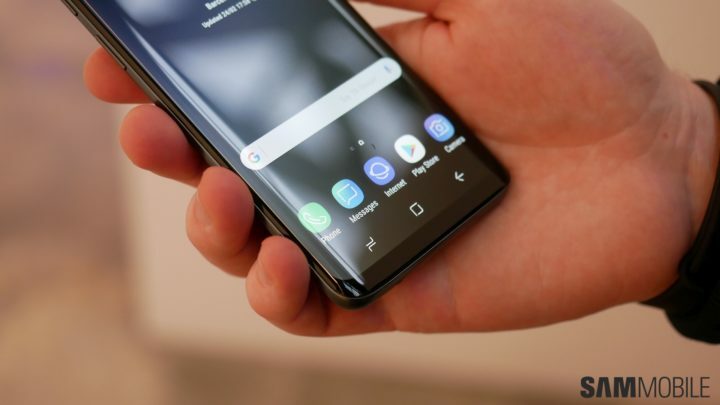 Of course Samsung has put its best AMOLED display ever in the Galaxy S9, making this phone the King of Mobile Displays. The display is bright, while displaying colors that (in the right display mode) look very natural. Needless to say, viewing angles are what we've come to expect of Super AMOLED panels. Aside from internals, the biggest overhaul can be found in the camera deparment of the Galaxy S9. The all-new variable aperture lens has managed to draw attention at the device's launch. In low light, the lens switches to a f/1.5 aperture, while using a f/2.4 aperture when more light is available. The result is a camera that can cope with almost any lighting situation, from dark to very bright, while also handling high dynamic ranges scenes very well. Aside from this, the Galaxy S9 camera can shoot slow-motion video at a very high framerate. For some, this feature will never be more than a neat little gimmick. But in the right hands, Samsung's 'Super Slow-mo' feature can produce some truly amazing video material. 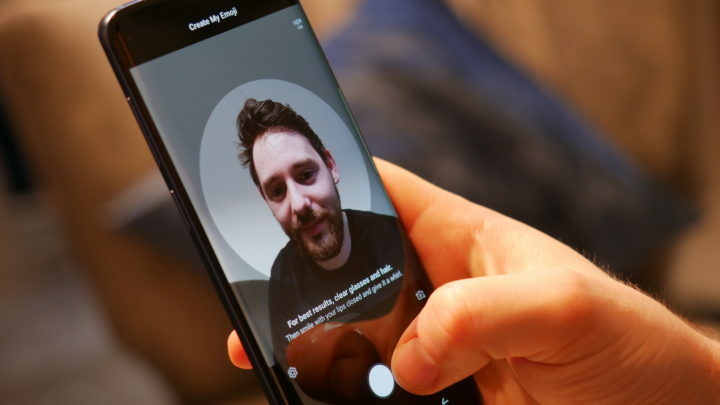 On the software front of things, the Galaxy S9 brings no real surprises - yet. The phone runs Android 8.0.0 Oreo out of the box, with the Samsung Experience 9.0 UX on top. Once again, the surprises can be found when digging a little deeper. As we already established, the Galaxy S9 does come with support for Google's Project Treble. On paper, this means software updates could hit the Galaxy S9 much faster than Samsung has managed in recent years. We will likely have to wait a while, until we know how this plays out. Samsung has by now nailed the monthly update cycle for its flagship phones, so Treble will not bring major improvements on that front. Only when the major next Android upgrade hits the market, we will see the true potential of this feature. Aside from all this, we expect the Galaxy S9 to receive two major Android upgrades during its lifetime. In other words, the phone will get Android P in late 2018, early 2019, and Android Q one year after that. 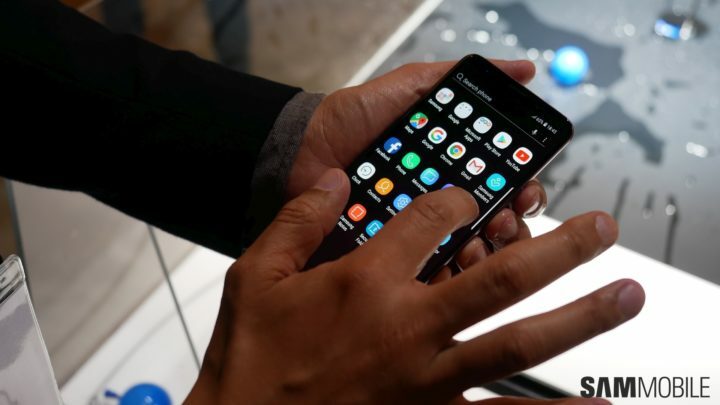 If Samsung keeps the security of the Galaxy S9 updates as long as it did with the Galaxy S4 and S5, we will see the device receiving monthly patches deep into 2021, perhaps longer. We did mentiond the fingerprint sensor already, but the Galaxy S9 can also identify you with its irisscanner as well as facial recognition. An important improvement over its predecessor, is that the S9 can combine the latter two, so you can unlock your phone in all lighting conditions by just holding it in front of your face. Now, the last major feature of the Galaxy S9 to discuss here is the battery. It has a bog-standard 3000 mAh capacity, which gives the S9 about the same endurance as the Galaxy S8. Based on our real-life experiences, we can say you will make it through the day without problem, but don't expect two-day battery life here. The hardware is simply too demanding, or inversely, the battery just is not big enough for that. 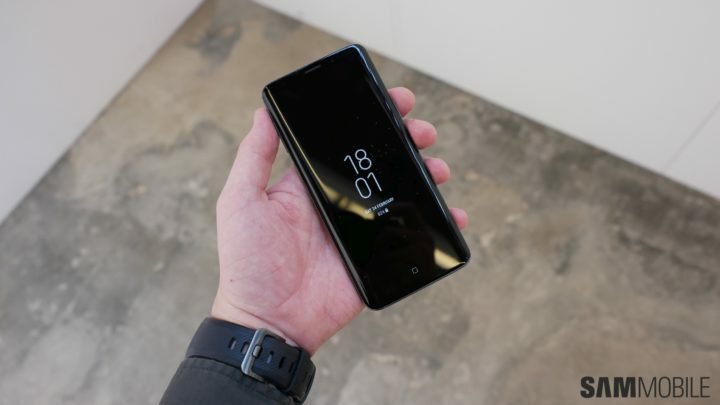 Needless to say, the Galaxy S9 supports quick charging with or without cable. The USB type-C port sits next to the 3.5-millimeter headphone jack, for all real audio lovers out there. Also, the Galaxy S9 is the first Galaxy phone with stereo speakers tuned by AKG. The front camera comes with a neat 'AR Emoji' feature, that turns your own faces into an extended set of emoji's. While slightly creepy, it can be a lot of fun seeing yourself turned into, well, you can guess the possibilities here. 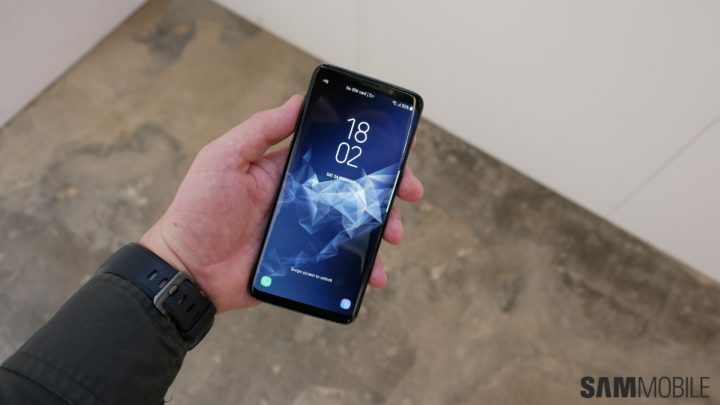 The Galaxy S9 was officially launched on February 25. The global release is set for March 16, though it will be available about a week before that in select markets. The device comes in blue, black, gray and purple, though not all colors will be offered in every market.